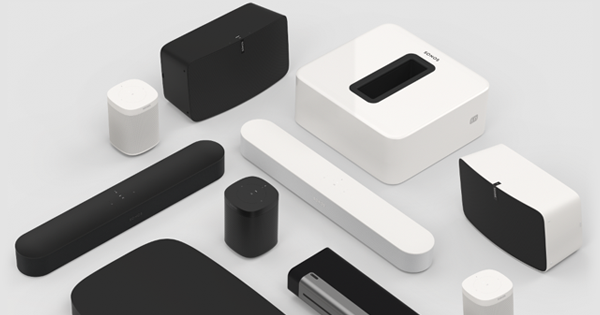 Sonos, Inc., the leading manufacturer of wireless music systems, today introduced the SONOS PLAY:3, the compact, all-in-one Sonos player with wall-to-wall HiFi sound. Start with one PLAY:3 in any room and stream all the music on earth. Expand wirelessly over time – bringing a world of music to every room of the home. Plus, wirelessly control PLAY:3 and all your music from anywhere via free Sonos Controller Apps for Android®, iPhone® and iPad®. PLAY:3 is ideal for any room where you want music and versatile enough to work both vertically and horizontally. PLAY:3 is available globally beginning today for $299 at Sonos retailers and at sonos.com. To rock the PLAY:3 demo, check out: sonos.com/PLAY3. PLAY:3 is connected to the Internet, giving you access to unlimited music. Play your entire digital music library, including iTunes® stored on any computer or Network Attached storage, such as an Apple Time Capsule. Find and play over 100,000 radio stations, shows and podcasts for free. Plus, Sonos works seamlessly with the most popular music streaming services to provide access to millions of songs and stations from AUPEO, iheartradio, Last.fm, MOG, Napster®, Pandora®, Rdio®, Rhapsody®, SiriusXM Internet Radio, Spotify, Stitcher SmartRadio™, TuneIn, Wolfgang’s Vault, and more. PLAY:3 is simple to set up, easy to expand and 100% compatible with all other Sonos products. Just plug in the PLAY:3 wherever you want music. One Sonos player or SONOS BRIDGE (sold separately) must be connected to your router, then all other Sonos players will work wirelessly. When you’re ready to play more music in more rooms, just add another PLAY:3. When it comes to controlling the music and PLAY:3, you can use free Sonos Controller Apps for Android, iPhone and iPad. With your smartphone or tablet in hand, you can wirelessly search for songs and stations, choose the music and control the volume in as many rooms as you like. PLAY:3 also includes the free Sonos Controller for Mac or PC. Or you can let everyone in the house share the control with the dedicated SONOS CONTROL (sold separately). 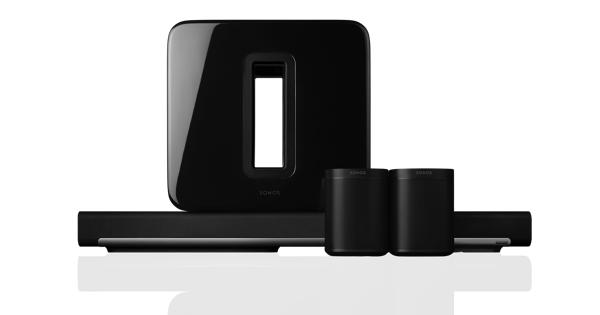 •Sonos HiFi sound: 3 integrated speakers and 3 dedicated digital amplifiers provide crystal-clear, wall-to-wall sound. 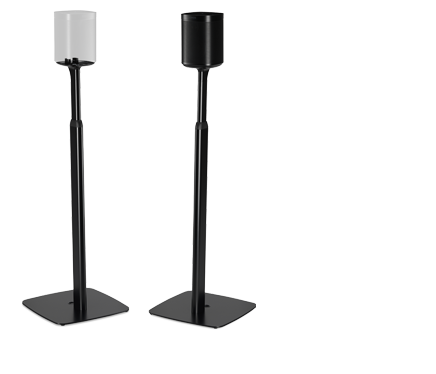 •Innovative, smart-directional design: Internal sensor detects if the speaker is positioned vertically or horizontally and modifies the speaker’s output to ensure clean, balanced, room-filing sound in any position. •Multi-room: Put several PLAY:3s around your home and enjoy perfectly synchronized all-over-your-home music. •Stereo pairing: Add two PLAY:3s to the same room and enjoy even bigger sound with each playing a dedicated Left or Right channel. PLAY:3’s innovative design sets a new bar for Hi Fidelity audio in a compact package. PLAY:3 features three Class-D digital amplifiers and three drivers - one tweeter and two 3” mid-range. One passive, rear-firing bass radiator for rich sound. The cabinet features volume and mute control. PLAY:3 dimensions are 5.2 x 10.5 x 6.3 in. (132 x 268 x 160 mm)/ 5.7 lb (2.6 kg). Full PLAY:3 specifications and details can be found at www.sonos.com/PLAY3. In other news today, Sonos makes it even easier and more affordable to get started with Sonos. Sonos has lowered the suggested retail price of the BRIDGE to $49. BRIDGE connects directly to your router and initiates SonosNet, the world’s most robust wireless music network. This gives you the freedom to place the PLAY:3, or any other Sonos players, anywhere in your home. Additionally, today’s launch features an update to Sonos Software. Along with support for PLAY:3, Sonos Software v3.5 adds several improvements to the Sonos Controller for Android, including the option to install the app to SD cards and localization in Dutch, French, German, Italian, Japanese, Simplified Chinese, Spanish, and Swedish.